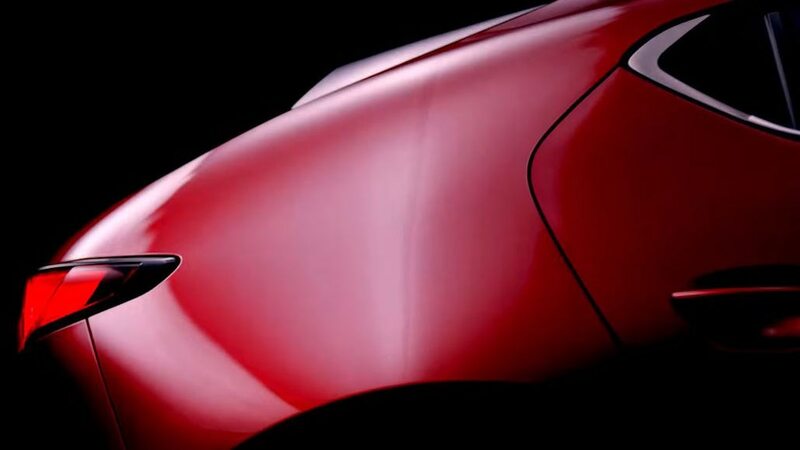 In a new teaser video, Mazda previewed what looks very much like the next-generation Mazda3. 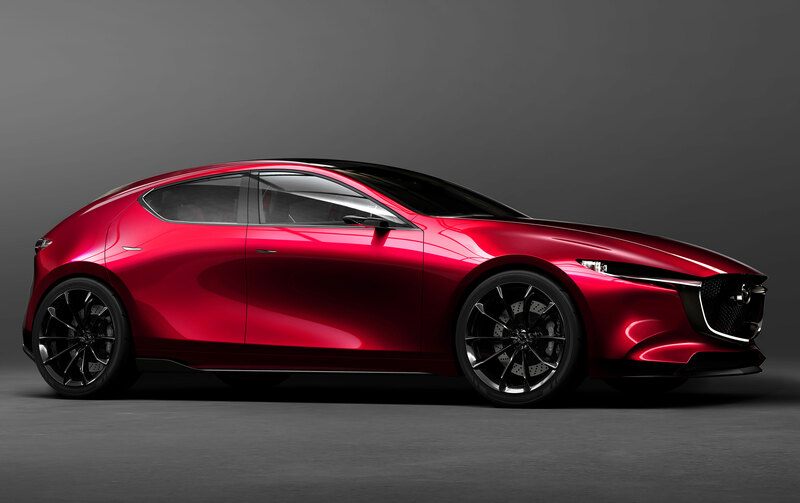 In a tweet, Mazda’s Japanese PR account confirmed the model teased below will debut at the 2018 Los Angeles Auto Show in late November. 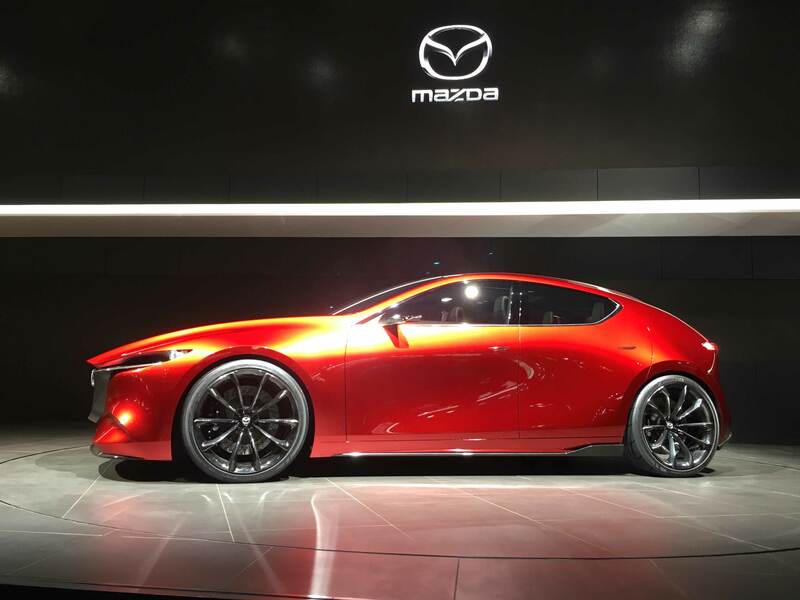 The 15-second video starts out showing a red Mazda3 hatchback. With slim taillights, angled windows, and a bulbous rear end, it resembles the Kai concept that debuted at the Tokyo Motor Show last year. 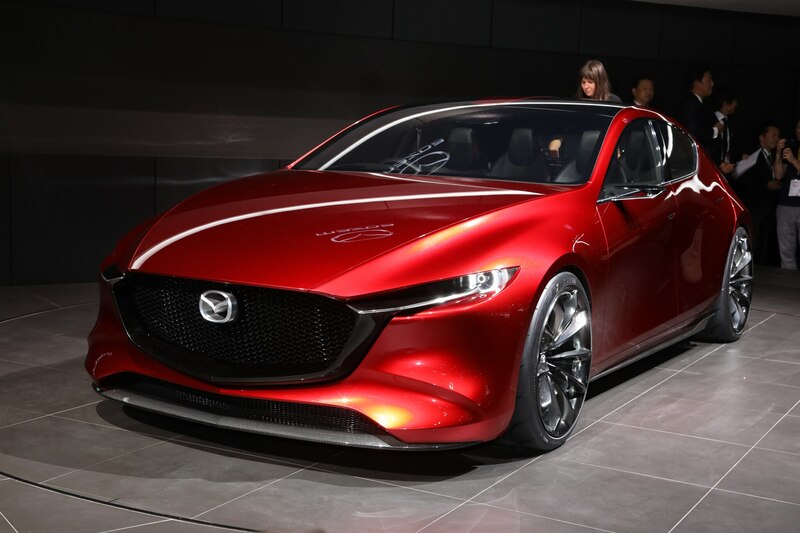 Of course, we expect Mazda will tone down some of the concept’s more dramatic styling elements. In this teaser, the Mazda3 has traditional door handles instead of the Tesla-like retracting ones we saw on the Kai concept. 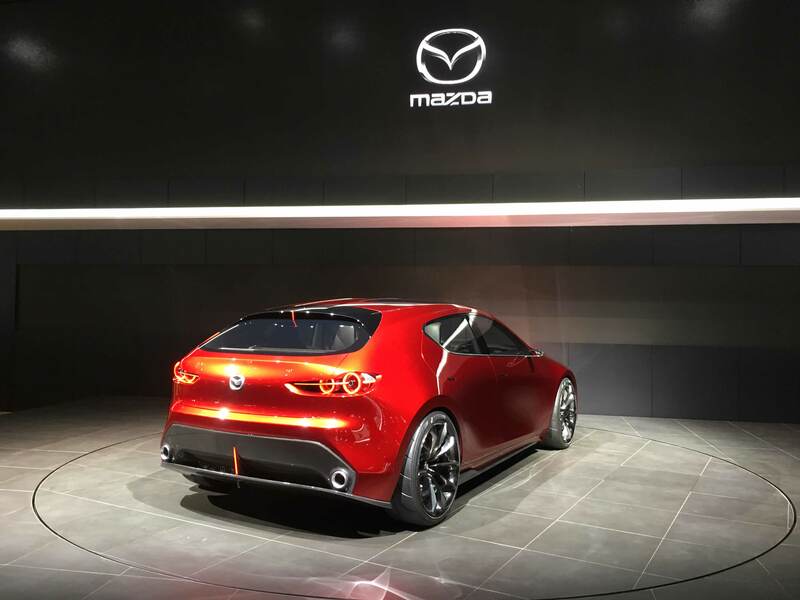 After the red car appears, Mazda shows a gray car. It’s unclear whether this vehicle is a sedan or hatchback, but whatever it is, it has a nice long hood. 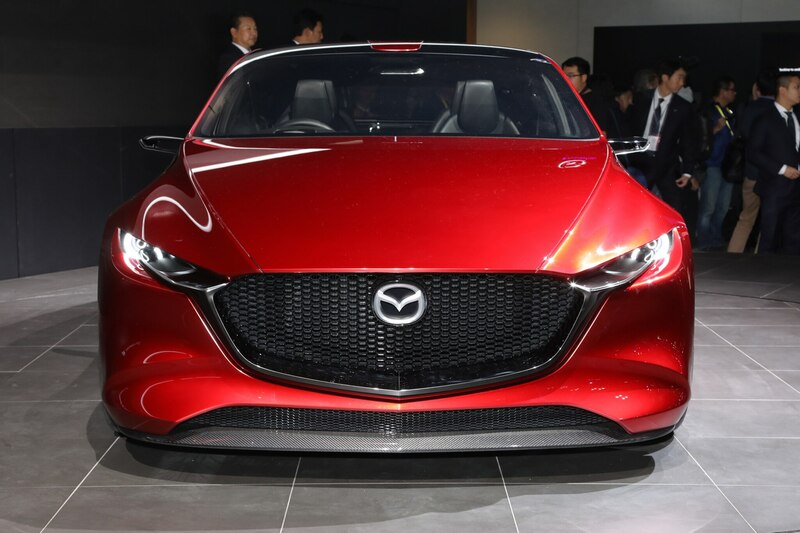 The current-generation Mazda3 arrived for the 2014 model year. 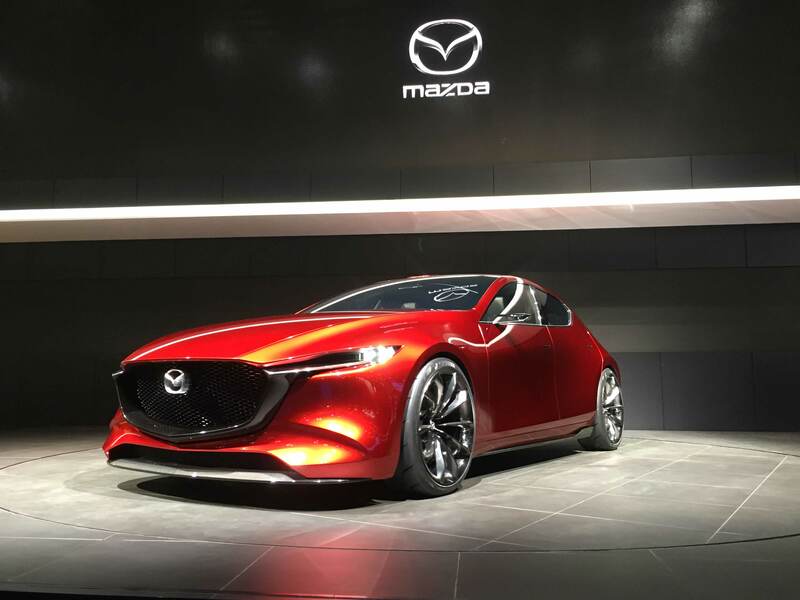 But every year since then, Mazda has made thoughtful changes, so the car has felt relatively fresh, particularly when it comes to handling. 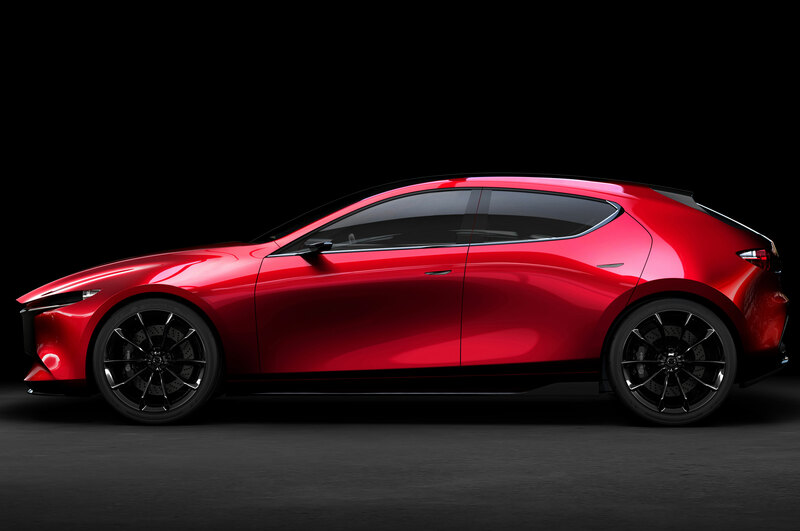 If the Kai concept is any indication, expect the new Mazda3 to sit on the latest Skyactiv platform, which should improve driving dynamics further. 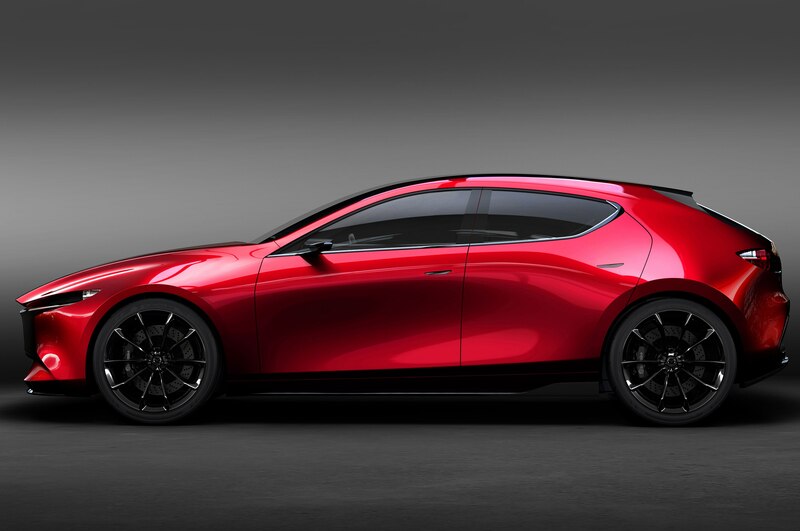 The Mazda3 should adopt the Kai concept’s Skyactiv-X engine that uses spark plugs to initiate compression ignition. 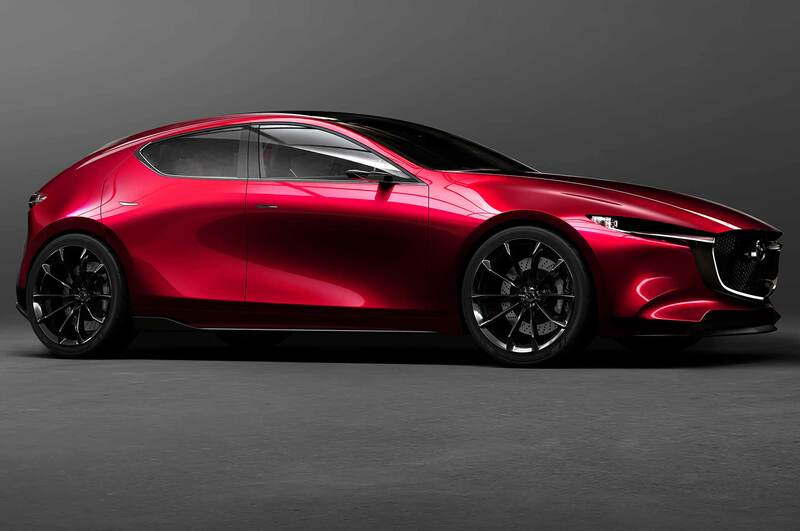 This new engine promises to deliver more torque and better fuel economy than Skyactiv-G engines. 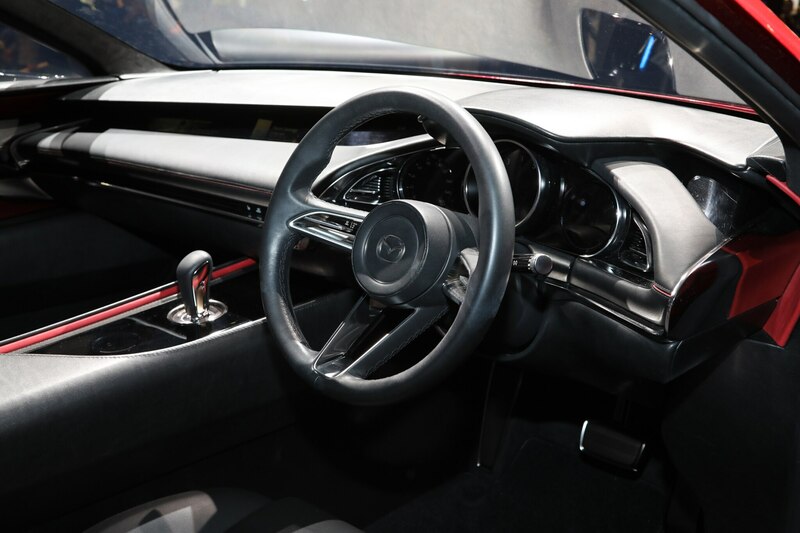 Pictured below is Mazda’s Kai concept. The 3 may have moved upmarket, but it hasn’t forgotten how to reward its driver. The prices have zoom-zoomed up the scale.